Last month, a report issued by the California Department of Finance indicated Inland Southern California will likely double to 8 million residents by 2050. Whether all 4 million new residents show up within the next 40 years or not, recent history indicates the region can still expect a large influx of new residents. As we previously noted, the million-dollar question is whether Inland Southern California will follow current patterns and continue sprawling farther outward? Or, will local officials, developers and residents alike begin accepting the need to begin growing smarter? Two recent news items may give an indication of where we're headed. One article gives us hope that change is coming, specifically that both local governments and developers are beginning to add density -- and diversity -- to their mix of projects. The other article, however, gives us cause for concern and points to the notion that it is -- and will be -- "business as usual" in the ever-sprawling Inland region. First, the good. 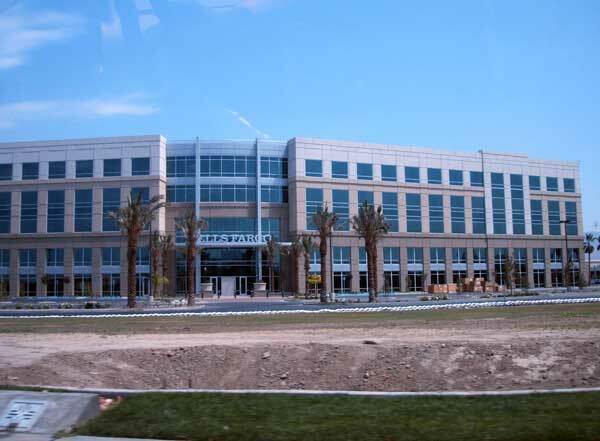 Banking giant Wells Fargo recently announced the consolidation of various offices scattered about the region into a single, 5-story office building in the Hospitality Lane area of San Bernardino. 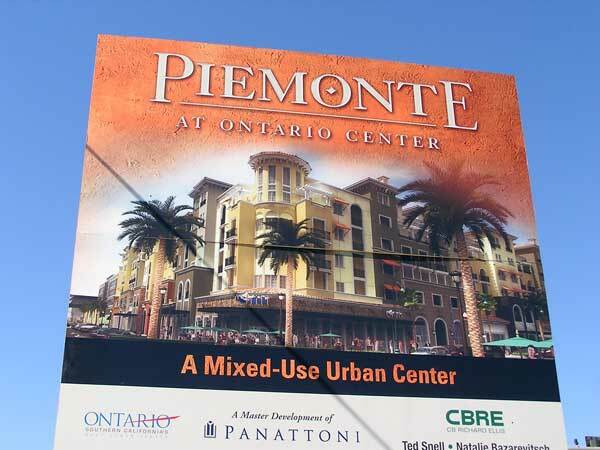 Although we would have preferred to see the consolidation take place within downtown San Bernardino -- or even downtown Riverside -- the Hospitality Lane area indeed is a very successful campus-style commercial development. As such, its densities are not quite that of a downtown area, but at least a single 5-story building beats five, 1-story tilt-ups taking up five times the land area. Second, the not so good. A recent article highlighted developers looking ahead toward the next wave of housing growth -- specifically, where it'll likely take place. In our opinion, the article displayed several problems for the future of this region if current development patterns are not changed sooner rather than later. Even amid the biggest housing slump of the past decade, Inland developers and planners are not asking if or when the market will rebound -- but where. 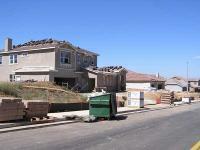 ... Economists have forecast the housing market may not pick up until the end of next year at the earliest. In the meantime, some developers have turned their attention to commercial and industrial real estate, while others are focused on acquiring land to hold. ...Most developers acknowledge there are obstacles to overcome in sprawling development -- from getting water to all the new homes to alleviating extra traffic on the freeways -- nevertheless, they say, growth will occur. Much of the attractiveness of southwest Riverside County comes from its position between Riverside and San Diego, said Randall Lewis, executive vice president of Upland-based Lewis Group of Cos., another developer involved in several projects in that portion of the county. "That means it's got a big commuter market," he said. Is being even more of a "commuter market" what we really should be planning -- much less aiming -- for? Bottom line here is that it's a lot easier -- and cheaper -- to zone ahead for impending commercial/employment uses now rather than having to rezone/redevelop pockets of existing residential uses later (which some of the region's older cities may find, in some instances, is closer to reality than they realize). Fortunately, there is some hope as Riverside County is working to tackle the jobs/housing imbalance where it counts -- in land-use matters. With its Riverside County Integrated Project (RCIP), Riverside is attempting to manage future growth by simultaneously planning for it at three interdisciplinary levels: environmental, residential/commercial and transportation. 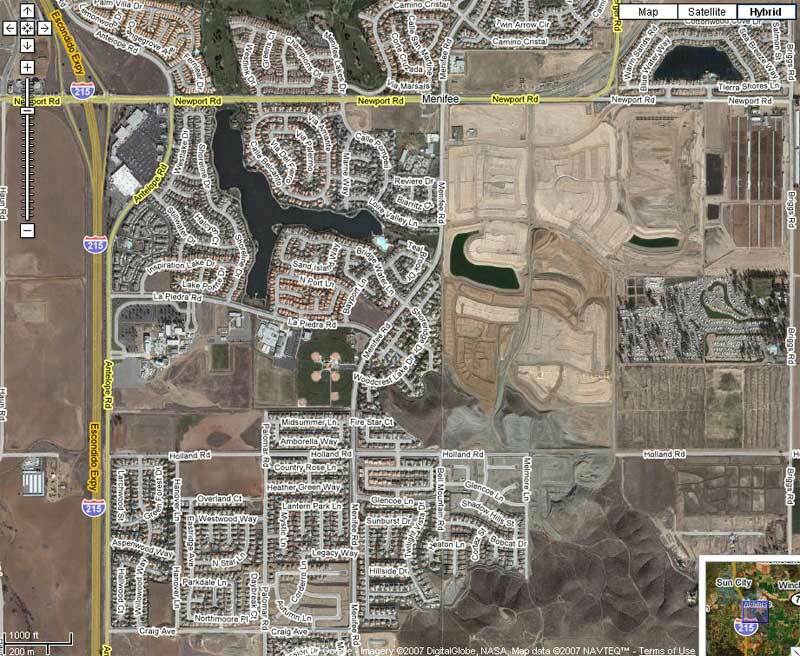 The crux of the plan essentially trades pockets of density for increased open space. As such, the pockets of moderate density keeps development from sprawling as well as allowing for the potential for varied transportation options -- namely, transit (think Metrolink versus freeway). However, the RCIP applies to the unincorporated areas of Riverside County and not the already established cities, so it's not an all-inclusive solution. Moreover, will the county and developers reasonably follow the "blueprint for tomorrow" as outlined? As previously stated in a recent post, we're not envisioning New York City densities, but limited pockets of greater intensity, particularly in the existing downtown areas of Riverside and San Bernardino and portions of Ontario. In essence, we're simply going to have to begin accepting more mid- and high-rise projects. In other words, it's time to begin growing up, both figuratively and literally. If population projections released this past week come to fruition, Riverside County will be the second most-populous county in California by 2050, ranking behind only behemoth Los Angeles County. The report, issued by the California Department of Finance -- the folks responsible for statewide fiscal planning and demographics -- says Riverside County can expect to house 4.7 million residents in about 40 years. This would move the county from its current spot as the fourth most-populous to the No. 2 spot, with only Los Angeles County's projected 13.1 million being larger (indeed, much larger). 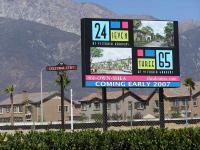 San Bernardino County is projected to remain the fifth most-populous with 3.7 million. If recent history is a guide, however, one thing is certain -- we cannot simply ignore the potential numbers. Although there's no guarantee that all 2.5-plus million residents will actually arrive as projected, there's no doubt Riverside County will still absorb a large amount of future growth (as we've learned over the past 40 years). So too will San Bernardino County. Thus, ignoring the growth is not the answer -- but aggressively planning for it is. Therefore, the question is, will local officials and residents alike simply allow development to continue sprawling outward? Or, will we begin to realize -- and accept -- the time has come to begin growing upward? In our opinion, we do not see any other option but upward. We're not talking a forest of 50-story towers. 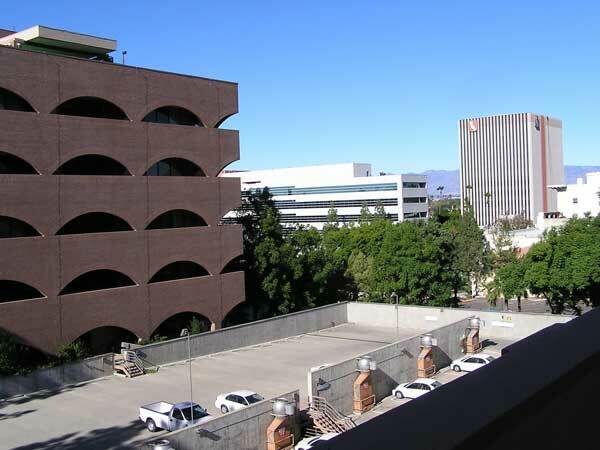 Instead, we're envisioning pockets of mixed-use, higher density developments consisting of modest 15-, 20- and 30-story buildings, mostly in the existing downtowns of Riverside and San Bernardino and possibly even Ontario. 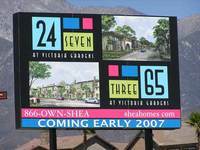 Likewise, we hope to see smaller clusters consisting of 5-, 10- and 15-story buildings in some portions of Corona, Rancho Cucamonga, Fontana, Moreno Valley, Temecula, Murrieta and even Redlands. Such would greatly increase future options in living, working, transportation and cultural amenities while still maintaining the viability of existing lifestyles. In essence, simply adding balance to the current landscape. Indeed, Inland Southern California cannot continue spreading outward, if only for two major reasons -- lack of efficient, multi-modal transportation and the need for stronger, more diversified employment centers. It's becoming more evident that continuing current development patterns is simply too expensive -- everything from environmental concerns and infrastructure constraints (think: freeway gridlock) to overall quality of life. Quite frankly, do we really want our children and their children to spend countless hours commuting to LA, Orange and San Diego counties as many of us and our parents before have done? Whether it be for employment or even entertainment purposes, we think the smart answer is an emphatic "No." Thus, it's now time to grow up. New Census figures released this week show Riverside County ranked third in the nation in total residents added (481,000) since the 2000 Census while neighboring San Bernardino County ranked sixth (290,000). 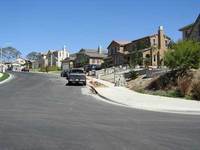 Together, the two-county Riverside-San Bernardino-Ontario MSA added 771,000 residents between 2000 and 2006, putting the region on track to add over 1 million new residents between 2000 and 2010 (and 1.6+ million since 1990). The additional residents boosts Inland Southern California's overall population to 4.02 million, which ranks 14th (updated 04/07/07) in the nation (between the Phoenix and Seattle metropolitan regions). 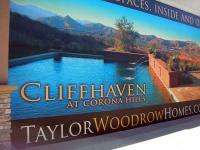 The recent figures reaffirm Inland Southern California's continuing rise in nationwide population rankings. Riverside County now ranks as the nation's 11th most-populous county -- just behind Queens County (NYC) -- while San Bernardino now ranks 12th. With the rise of Riverside and San Bernardino, Southern California is now home to 5 of the nation's 15 most-populous counties (Los Angeles, Orange, San Diego, Riverside and San Bernardino). Finally, with projected growth taken into account, there's the distinct possibility Inland Southern California may crack the top 10 in total metropolitan population within the next 10-15 years. Just 27 years ago, the two-county region -- with a population of 1.56 million -- ranked as the nation's 27th most-populous Metropolitan Statistical Area. The tremendous growth -- particularly over the past 6 years -- again brings up the question of how much longer until this seemingly hidden, "sleeping giant" awakens? New figures released last week by California Department of Finance indicate that both San Bernardino and Riverside counties each passed the 2 million mark in population in 2006, making the two counties the 4th and 5th most-populous counties respectively in California. It also signals Inland Southern California has reached the 4 million mark in overall population, which places the region between San Francisco-Oakland-Fremont and Phoenix-Mesa-Scottsdale in national population rankings. Although growth rates in the state as a whole have slowed recently (only 1.25% last year), the interior sections of the state -- and in particular Inland Southern California -- are indeed bucking the trend. Overall, Riverside County was the only county in the state to rank in the top 5 in 3 demographic criteria -- overall size (5), numeric growth (1), and percentage growth (2). Percentage wise, Riverside's growth rate of 4.14% between July 2005-06 was second only to the 4.42% of tiny Yuba County (total pop. 71,938 -- less than the 2006 numeric gain in Riverside County alone). San Bernardino County's growth rate of 2.13% was good for 14th, joining Riverside as the only counties in excess of 1 million residents in the top 15 (of 58 counties) in growth rates. Numerically speaking, Riverside led all counties in California with an additional 79k residents. San Bernardino was third with 41k additional residents. Together, the increase of 121k for the 2 counties -- a.k.a. Riverside-San Bernardino-Ontario MSA -- comprised 26% of the total numeric increase (462k) statewide. Since 2000, Riverside County has added 446k new residents while San Bernardino County has added 294k -- a total of nearly 750k, or nearly 25% of California's total population growth (3.3m) since the 2000 Census. As such, the region is on track to add at least 1 million residents between 2000-2009 -- or about the population of metropolitan Buffalo, NY. 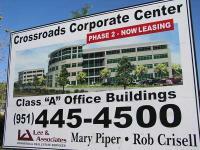 Growth has been a theme for industrial, office and retail construction in Riverside and San Bernardino counties this year, and more of the same is to be expected in 2007, according to a new review and forecast by Grubb & Ellis Co.
...Esmael Adibi, chief economist for Chapman University, said the Inland commercial real estate market has been excellent. There wasn't as much office construction as there should have been over the past decade, he said, and therefore growth over the last couple of years has been building up toward demand. 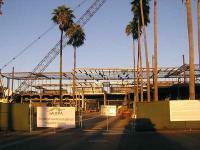 Since 2004, two major retail developments have opened (Victoria Gardens, Dos Lagos), one has been rebuilt (Riverside Plaza), one is currently undergoing a major expansion (Galleria at Tyler) and at least 3 others (Montclair Plaza, Temecula Promenade and Inland Center) are planning expansions. 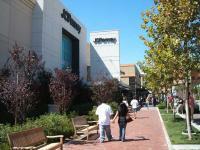 Likewise, the area immediately surrounding the Ontario Mills continues to be a draw for new retail. Riverside, he said, is likely to become a nexus for new high-end retail, because it boasts 90,000 households with incomes of at least $79,000. Thus, we give a hearty welcome to the newcomers -- residents, retail and employers alike (and those yet to arrive). Three recently released reports by commercial real estate brokerage CB Richard Ellis Inc. says that, although housing remains big within Inland Southern California, both the commercial and industrial sectors are doing brisk business as well. All together, the reports indicate 34 million square feet of on-going construction activity in retail, office and industrial projects within the two-county region. Although there's no real surprise in the industrial sector numbers, probably the most encouraging news is the uptick in both the retail and office sectors, where the region has tended to lag behind most areas of Greater Los Angeles. But with the continued influx of new residents (approx. 500,000 since 2000), both sectors are finally beginning to catch up with the rapid residential growth. Moreover, the office market is even strong enough for the building of speculative projects -- something not seen in these parts in great numbers since the late 1980s. Helping to fuel the market are the region's rising population and reputation for being business friendly. The population of the two counties will jump about 50 percent between 2000 and 2020, according to the U.S. Census Bureau. Inc. Magazine last year rated the region the second best for doing business behind only Atlanta because of its large and sustained job growth. According to the latest population estimates just released by the U.S. Census Bureau, Inland Southern California once again led the state in population growth as both Riverside and San Bernardino counties ranked in the top 5 in the number of new residents. 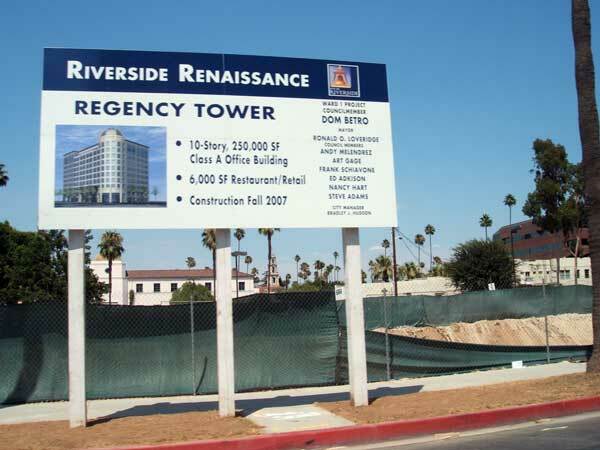 Together, the two counties added nearly 150,000 residents between July 2003 and July 2004, giving the Riverside-San Bernardino-Ontario PMSA a total population of 3.79 million (a 150% increase since 1980). Numerically speaking, Riverside County was 2nd in the nation in new residents added (89,128) while San Bernardino County ranked 5th (58,936). Topping the list -- which is typically dominated by counties with large populations -- was Maricopa County (Phoenix) with 112,233 new residents. Los Angeles ranked 3rd (77,357) while Clark County (Las Vegas) was 4th (75,285). Percentage-wise, Florida dominated with 14 counties placing among the Top 100 fastest-growing counties in the U.S. With a growth rate of 5%, Riverside County ranked 39th, leading all large counties (1 million plus population) nationwide in percentage gains. Nevada's Clark County (4.8%) was the only other large county to make the list, which is typically dominated by counties with small population bases. Since 1980, Inland Southern California's population has more than doubled from 1.5 million residents to 3.6 million (Census - 2003 county estimates). If ranked separately, it would be country's 13th most-populous region (sandwiched between Miami and Seattle metro areas). Along with such phenomenal growth has come large jumps in other demographic stats, such as job growth, median income, taxable sales, and of course, median home prices. 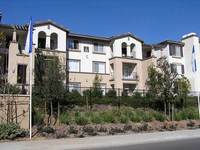 According to the 2000 Census, the median income (one-half of families above and below) of Chino Hills was $78,374. Amazingly, the Census found that the median income of Beverly Hills was just $70,945 and Laguna Beach was only $75,808. Not only was the income of Chino Hills much higher, so was its population: 76,401 versus 35,701 in Beverly Hills and 24,751 in Laguna Beach. An interesting study commissioned by the City of Riverside elevates the city's status in the high-income bracket. The 11-page study took data from the 2000 Census and compared Riverside's high-income residents with those of other large Southern California cities (15,000+ households). Of over 100 Southern California cities surveyed, Riverside ranked 8th in the total number of households earning $75,000 or more -- just under those of Anaheim and Irvine, but ahead of loftier places the likes of Newport Beach, Mission Viejo, and Pasadena. A portion of the report indicates that the average income for 41,000 households in Riverside is $94,000. 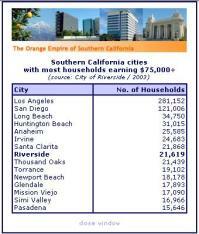 Excepting the cities of Los Angeles and San Diego, few cities in Southern California can match that statistic. The goal was to show that even though a large and diverse city such as Riverside may indeed have overall per capita numbers that fall somewhere in the middle, the extrapolation of the city's sheer numbers tell a different story. This lack of extrapolation is the problem with many of today's stats-dominated retail specialists, in which aggregated data can hide and homogenize data within a given city or area. This is especially true with larger, more diverse cities, where sheer numbers get watered down -- even lost -- in the modeling methods, thereby almost always failing to tell the complete story. Because of these generalized methods (not to mention assumptions), Riverside has struggled somewhat the past 5 years in consistently attracting more of the high-end retailers that tend to swarm to Southern California's newer, master-planned suburban enclaves. Sure, the city has 1 of the 2 Nordstroms in the immediate area and is by no means a retail wasteland, but a few of the other highly sought-after retailers (such as Crate&Barrel) have been dragging their feet in setting up shop. This report should gently remind them that by sheer numbers alone, Riverside's high-income households are hard to beat. Find recent content on the RXSQ Main Index or look in the Master Archives to find all content. Got Riverside? 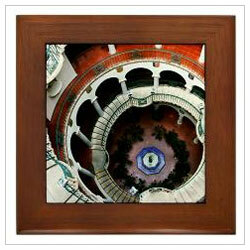 RaincrossSquare is now on CafePress! We are offering a limited number of products -- such as framed prints, postcards and calendars -- using locally-themed images and graphics. Please feel free to browse our online shop. All viewpoints expressed on this site, including comments, are the opinions of the respective authors only and do not reflect the views of other authors, employers, or third-party off-site links. This site does not accept paid advertising.